With Christmas just around the corner, we are all thinking about what to get our little ones. I don’t know about you but I find stocking stuffers to be a bit challenging! Kids don’t always love getting socks and underwear in there and I don’t want to fill them up with candy either! 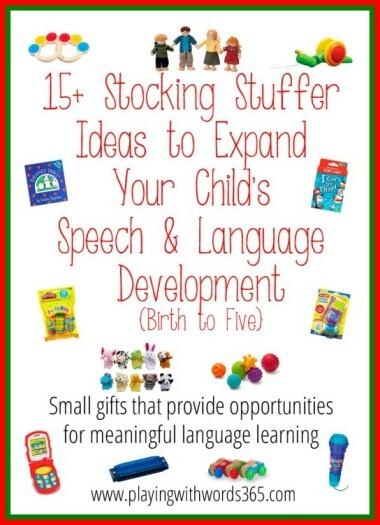 So I thought I would expand on my list of 25+ Gift Ideas to Expand Speech (& Language) Skills in young children with some socking stuffer ideas that go beyond socks and candy and provide opportunities for speech and language development! Here they are, in no particular order. There are Amazon affiliate links in this post for your convenience. Thanks for your support! For babies, the best toys are small, safe rattles and clutch toys. As they explore these items, your baby will be working on developing the preverbal cognitive skills of object permanence, cause and effect and imitation. Not only that, but rattles and small clutch toys help build fine and gross motor skills and visual motor skills. As your baby plays, feel free to comment here and there about what they are doing and seeing, but also be sure to give them ample time for some independent quiet play with their new toys. This Croo-ak Clutching Toy , Haba Jonathan the Rattling Caterpillar and Max Clutching Toy by HABA are all adorable and fun! Remember how I talked a lot in my 25 Gift Ideas post about how children like to play what they see? 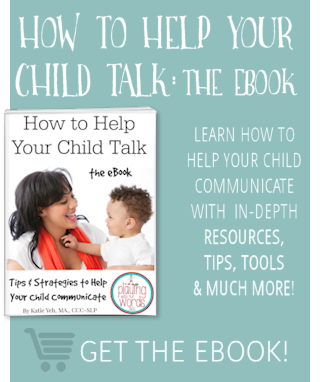 Children see us talking on the phone all the time and a toy phone provides your child opportunities for imitation, pretend play and speech and language use. We have one similar to the Fisher-Price Brilliant Basics Friendly Flip Phone which is appropriate for ages 6 months and up. 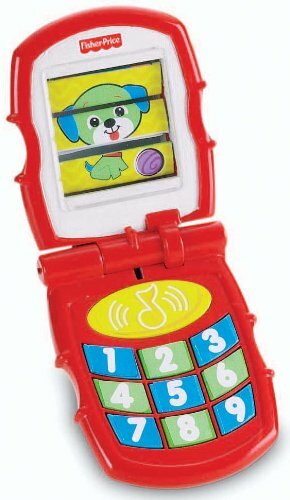 Toy phones are also great as they are played with from toddlers and up for years and years! I use these all the time in my therapy sessions! Some children who are hesitant to speak or practice speech are very motivated by these simple toys like the Magic Mic which provides an echo as your child speaks into it. 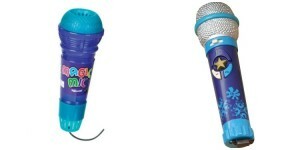 We also have a B. Okideoke Microphone which my kids love because you can record your voice singing on it. Bubbles are a pediatric speech pathologist staple. Bubbles can be sued to elicit SO MUCH language! 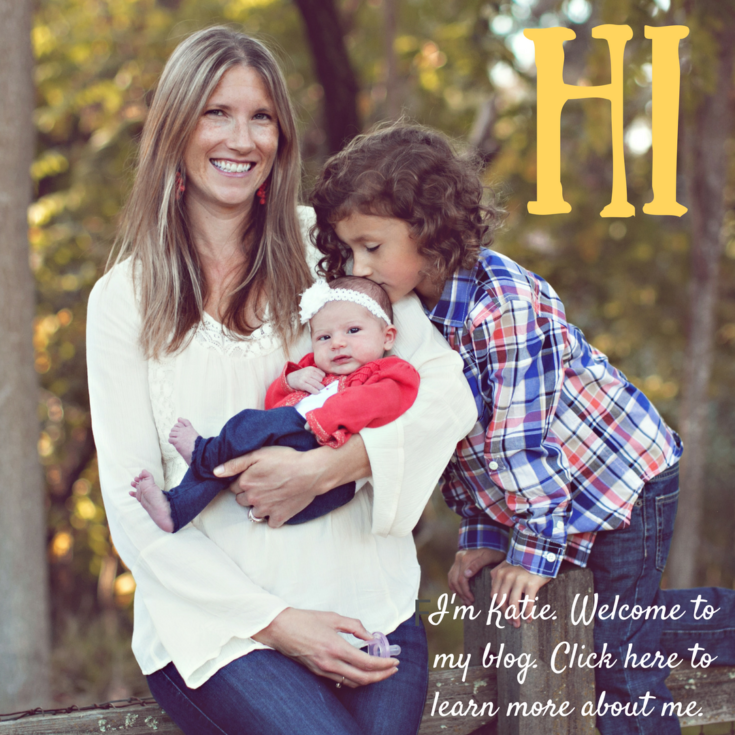 Check out this post from Becca at Child Talk about how amazing bubbles are for speech and language! 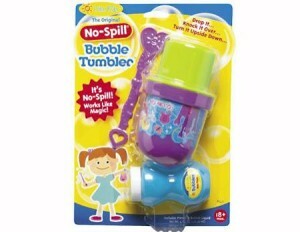 My personal favorites are the Little Kids The Original No-Spill Bubble Tumbler as they really are no spill! Puppets in general are used all the time by pediatric speech pathologists in therapy. Some children will feel more computable talking to a puppet or talking as a puppet. They area also great for pretend/imaginative play, imitation skills, vocabulary and more. Finger puppets are great small options for your child’s stocking! 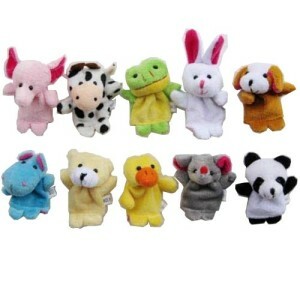 This 10pcs Velvet Animal Style Finger Puppets Set is an inexpensive set that can provide hours of fun! Small books make great stocking stuffers and books of course are so great for speech and language development! Just a few of our favorites: The Very Hungry Caterpillar ,Peek-A Who? , Where’s Spot? , Barnyard Dance! , and basically ANYTHING by Sandra Boynton! Music is a fantastic teaching tool for speech and language development and can help expand speech and language development in children with special needs. Whether you listen in the car or at home, I always recommend singing and listening to music to my clients. 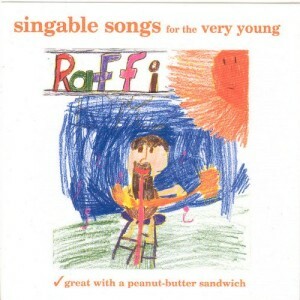 A great Album is Raffi Singable Songs for the Very Young. You can also make your own compilation of songs and burn it to a CD for your child to listen to! I talked in my 25 Gift Ideas post about how great arts and crafts can be for speech and language development. Why not throw some Crayola Crayons , Crayola Markers , Crayola Washable Kids Paint , or Paint Brushes in their stockings this year? You can also include Scissors and Glue Sticks as well! Another speech pathologist staple! 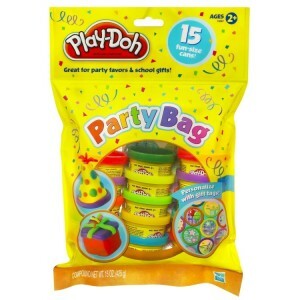 I talk all about the uses of Play-Doh for speech and language development in my Best Toys Series part four. The little tubs area PERFECT for stocking stuffers! Great for filling the stocking are little characters or animals for small world pretend play! Little People have great options for tiny hands and those who still mouth objects while Hape and Plan Toy have great options for slightly older children. These are great if your child is getting a doll house for christmas as well! 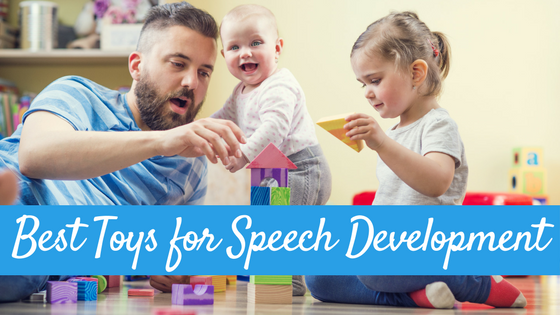 Games are wonderful ways to build speech and language skills while bonding with your little ones! Great for working on turn taking, deductive reasoning, memory and more. 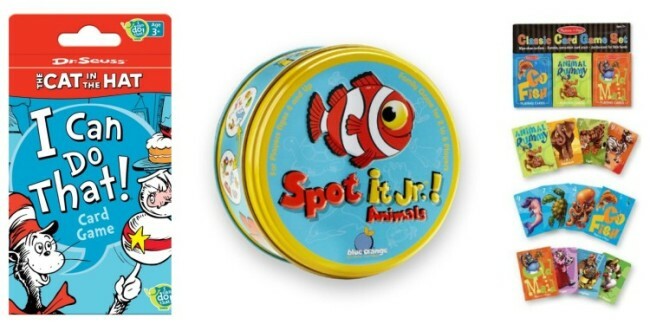 Some favorites here are Dr. Seuss Cat in the Hat Card Game, Spot It Junior Animals , and Melissa & Doug Deluxe Animal Card Games which is a set of classic games like Go Fish and Old Maid. Babies and toddlers learn a lot about their world through touch. Provide your baby or toddler with opportunities to manipulate balls of different textures, sizes and colors with this Infantino Textured Multi Ball Set. I am actually getting this for Emory’s stocking this year! 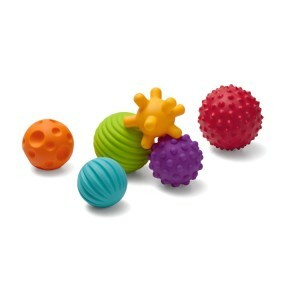 I go over the benefits of balls on speech and language in my Best Toys Series. 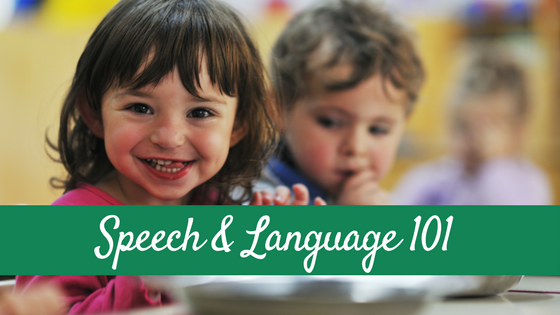 One of the best times of day that your child is taking in lot’s of speech and language is during bath time. This is a time where you are often talking a lot to your little ones about what they see, feel and do. Providing some simple toys to manipulate and play with in the bath can help to expand on these language learning opportunities. 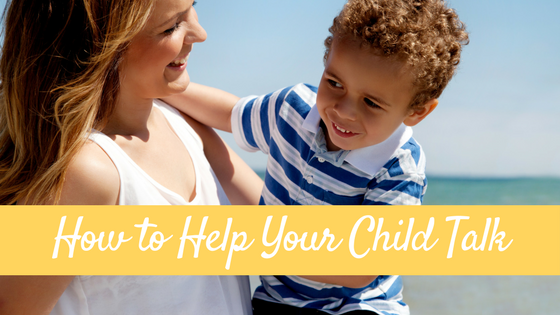 Some suggestions are the Munchkin Five Sea Squirts, the Nuby Splish Splash Stacking Bath Cups, or you can get really SIMPLE and get your child a Measuring Cup Set! measuring cups are a staple bath item in this house. Push and pull toys are fantastic for fine and gross motor, visual motor and speech, language and cognitive skills. Some suggestions are the Pull-Along Snail from Plan Toy, the Melissa & Doug Stacking Cars and the PlanToys Baby Car . I talk about the benefits of these toys (specifically cars/trucks/trains) in my Best Toys Series. Musical instruments are great for little and big hands. 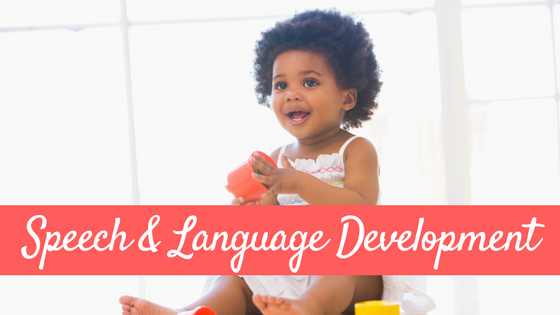 For little ones, they help build those listening and cognitive skills like cause and effect and for older children they provide opportunities for gross and fine motor development, singing, and listening. For little ones, I recommend the Handled Cage Bell from Hohner Kids and the Hape Mini Maracas. For older children, the Hohner Kids Translucent Harmonica can provide hours of fun. My children have a harmonica they are also great for building breath support! For more information and tips on building speech and language through music, check out this post by Two-Daloo. So now it is your turn…what stocking stuffer suggestions do you have that can help build speech and language skills in young children? What would you add to my list? And be sure to check in tomorrow for my GAME recommendations! What a great list, Katie! 🙂 I love that these toys are great for language development, but also pretend play and creativity. Thanks for sharing! Since you asked for other ideas and suggestions, I would add wind-up toys to the list!